Conference Chairs (Australia): National committee Michele Barker, Art and Design, University of New South Wales | Brogan Bunt, Faculty of Creative Arts, University of Wollongong | Edward Colless, Victorian College of the Arts, University of Melbourne | Vince Dziekan, Faculty of Art Design & Architecture, Monash University | Donal Fitzpatrick, Gold Coast, Queensland College of Art | Ross Harley, Art and Design, University of New South Wales | Leon Marvell, Independent writer | Anna Munster, Art and Design, University of New South Wales | Darren Tofts, Swinburne University of Technology | Oliver Watts, Sydney University. The conference is supported by the Edinburgh Futures Institute, University of Edinburgh and The University of New South Wales. The University of Edinburgh was founded in 1582, making it the sixth oldest university in the English-speaking world. The university is deeply embedded in the fabric of the city of Edinburgh, with many of the buildings in the historic Old Town belonging to the university. The university’s Centre for Design Informatics, which hosts the conference, provides a platform in which design and data science can mix. The 5th International Transimage conference will be held across three of the university buildings, which represent Edinburgh’s rich past and exciting future. The conference activities will be split between the Playfair Library, the RIBA award winning Informatics Forum, and Talbot Rice Gallery, previously the university’s Museum of Natural History. The Playfair Library is the former main university library, designed by one of Scotland’s most prominent architects, William Henry Playfair. After the collections moved to the present university library, the Playfair has become a centre for public events, lectures and debates. Talbot Rice Gallery, just next door to the Playfair Library, is a contemporary art gallery that crafts artistic collaborations with departments across the university, as well as playing host to national and international artists. ‘Spite your face,’ a show by renowned Scottish artist Rachel Mclean will coincide with the conference, which was the Scottish entry for the Venice Biennale. Edinburgh’s multi award-winning Informatics Forum is a landmark centre for innovation and interaction, underpinning Edinburgh University’s reputation as the 4th best university in the UK for the quality of its research measured by the 2014 Research Excellence Framework . The centre’s architecture has won numerous prizes, including RIBA’s ‘Best Building in Scotland’ prize, and the Scottish Design Award. Edinburgh is the capital of Scotland, and is renowned to be one of the world’s most beautiful cities, with a world class combination of arts, culture, music and dining. Edinburgh uniquely marries history and modernity, heritage and innovation, as reflected in the city’s architecture and surroundings. Edinburgh’s reputation as a world renowned cultural capital is cemented in large part because of its year-round programme of festivals, which generate £200m for the local economy and support almost 4,000 jobs. This creative legacy underpins Edinburgh’s reputation as a centre of creativity, innovation and economic prosperity. The capital is home to the majority of Scottish national institutions including the Royal Scottish Academy (founded 1826) the National Gallery of Art (1859), the Scottish National Portrait Gallery (1889), National Library of Scotland (1925), the Scottish National Gallery of Modern Art (1960) and the Scottish Arts Council (now Creative Scotland) (1994). Edinburgh is also home to more Michelin-starred restaurants than any other part of the UK outside London. Castle Terrace and The Kitchin serve first-class modern food using the finest Scottish ingredients. For more information about what Edinburgh has to offer, including accommodation, leisure activities and dining, visit This is Edinburgh. 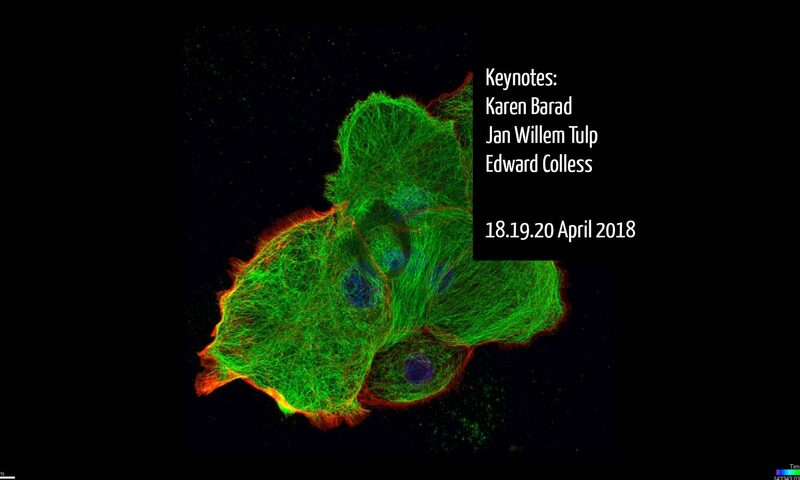 The fifth International Conference on Transdisciplinary Imaging at the Intersections of Art, Science and Culture is hosted by the Edinburgh Futures Institute, and will take place in collaboration with Talbot Rice Gallery, Edinburgh College of Art and the Centre for Design Informatics.